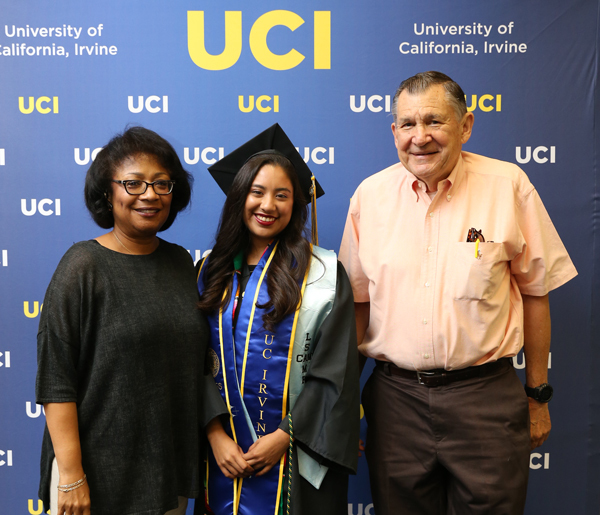 June 25, 2018 - UC Irvine celebrated its 53rd Commencement over several days, June 15 – 18, with a flurry of ceremonies. The university awarded nearly 9,800 undergraduate and graduate degrees this academic year, with first-generation college students earning more than half the bachelor’s degrees. Contributing to that total, the Samueli School of Engineering granted more than 720 bachelor’s, 170 master’s and 67 doctoral degrees. The engineering school’s festivities kicked off Friday morning with the Commencement Celebration on Engineering Gateway Plaza, where seniors displayed their design project posters and prototypes for friends and family. Samueli School Dean Gregory Washington commended students for their successes and challenged them to take on the problems of today. 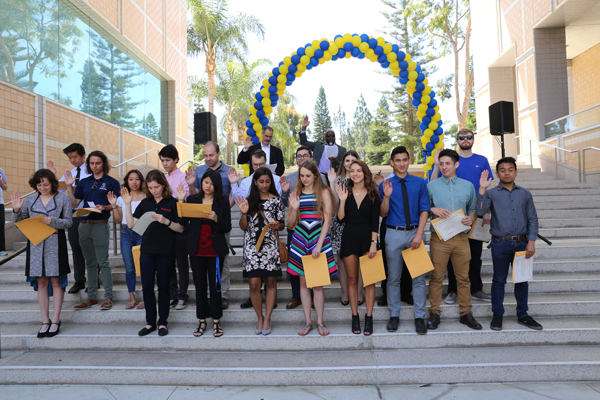 Washington and Associate Dean Michael Green led students in the Order of the Engineer oath at an induction ceremony in which the Anteaters promised to uphold the profession’s standards and dignity and accepted a steel ring to wear on their pinky finger. In the afternoon, Washington welcomed faculty, students and their friends and family for the Senior Honor Society Stole Ceremony and reception. “Thank you for joining us to celebrate our students’ outstanding achievements,” he said. 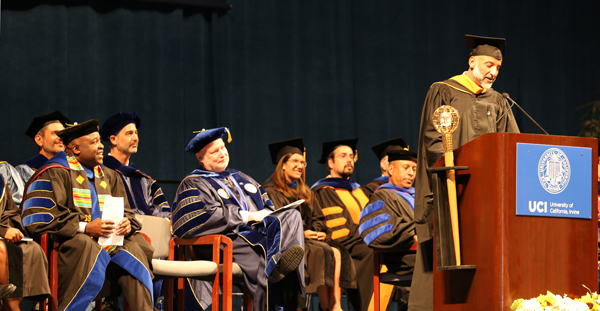 Five nationally recognized societies presented members with honor stoles and cords that would adorn students’ commencement regalia. For more photos, see our Facebook album.